Wondee Siam was recommended to me after the Midtown Pork Drunken Noodle Showdown between Topaz and Pam Real Thai Encore. Pork Drunken Noodles (flat noodles sauteed with Thai Chiles and Basil) is my favorite Thai dish and I haven’t found anywhere that does it better than Topaz. 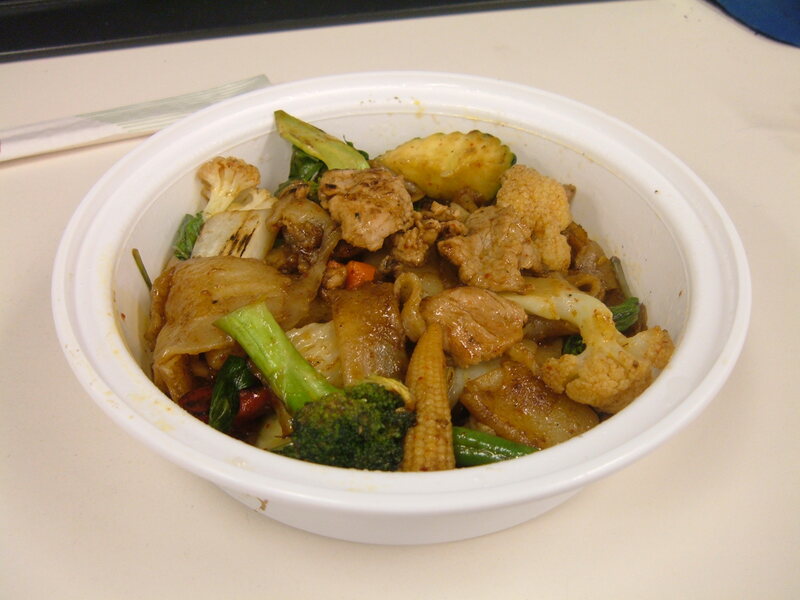 I’m the NYC Food Guy, however, and I have an open mind, so it hurt me that much more when Wondee Siam showed up with two skimpy portions of Drunken Noodles ($8.50 each) filled with the most undesirable and out of place vegetables I’ve ever encountered in any Thai dish. Cauliflower? Cabbage? Zucchini? What are these vegetables doing in my Drunken Noodles? They’re obviously there to make a severely small portion look heartier and to decorate the appearance of some extremely mediocre pork (tough and stringy). Overall, this dish was greasy, weak on flavor and spice, and a straight up rip off. I usually like to give places more than one chance to impress but Wondee Siam gave me NO REASON to return. See the rest of my Drunken Noodle Tour here.